At ONE10SPORT we pride ourselves on developing the best coaching talent. All our coaches are either internationally accredited by the Scottish Football Association or mentored according to the association’s coaching philosophy. The Scottish FA are renowned as being the “best coach education institution in world football.” Our coaches are meticulous about their training sessions and will add immense value to your organisation, academy or club. 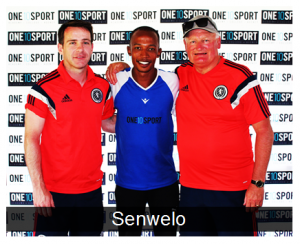 Qualifications: Scottish FA C-License, SAFA D-License and Coerver Youth Diploma. Coaching Experience: Glenwegians FC U/11 and Curro Thatchfield U/12 school side (2015). Province & City: Gauteng, Pretoria. Open To Relocating: Nationally and Internationally. Qualifications: Scottish FA C-License, SAFA Intro, KNVB 10 day, Expert Periodisation. Coaching Experience: 7 years coaching experience at various clubs, universities and schools. Province & City: Western Cape, Cape Town. Qualifications: Sport Science Degree, Scottish FA C Licence, First Aid, Video Analysis. Coaching Experience: 300+ hrs goalkeeper coaching U/9-U/19, Coached U9, U11 & Seniors. Province & City: Western Cape, Stellenbosch. Qualifications: Scottish FA C-License, Business & Executive Mgt Diplomas, National Diploma. Coaching Experience: 5 years coaching experience with U6’s to U11’s. Province & City: Gauteng, Johannesburg. Coaching Experience: 5 years coaching experience with U13’s to Professional Adults.